.224 Valkyrie Offers Amazing Stopping Power, Speed, & Accuracy. A .224 Valkyrie 20” 416R Stainless Steel Barrel From ELD Performance That Has Been Cryo-Treated & Stress Relieved, Preventing Thermal Expansion For Exceptional Accuracy & Improved Barrel Life. Designed For Long Range Competition Shooting With A Lighter Straight Profile For Mobility In 3 Gun & Similar Tournament Shoots Giving You Sub-Moa Accuracy Without The Weight. The Omega MFG. 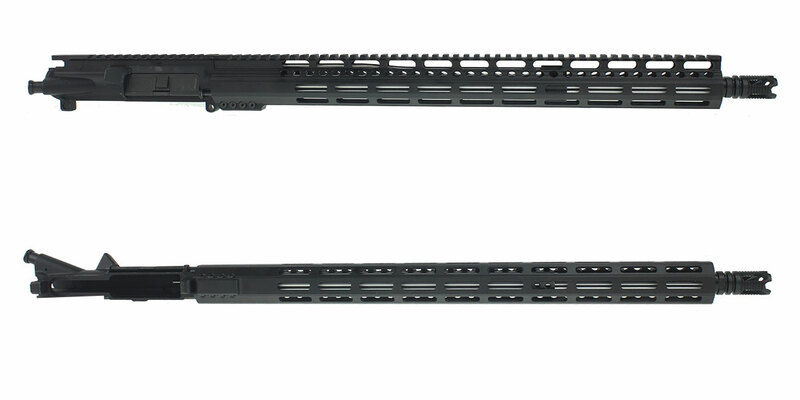 19” Slim M-Lok Handguard Allows You To Comfortably Grip Your Rifle From Various Shooting Positions & Securely Mount A Variety Of Accessories. Made Of Aircraft Grade 6061-T6 Aluminum And Finished In Type III Mil-Spec Type Anodizing. 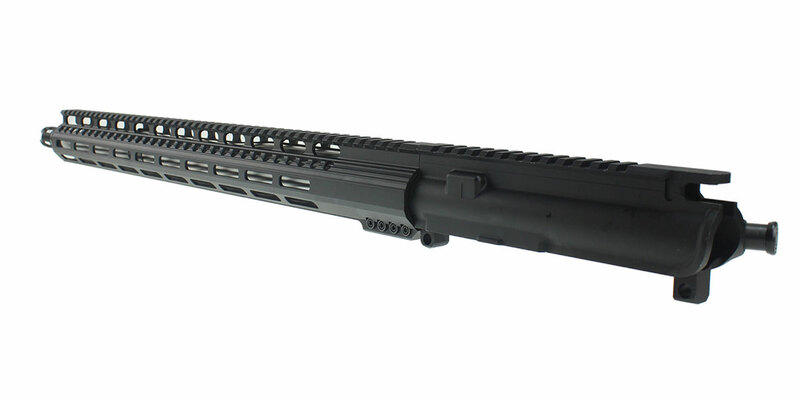 This Build Includes The Popular Recoil Technologies Phantom 4-Port Muzzle Brake. This Muzzle Brake Features An Aggressive Profile Which Has Been Redesigned To Work As A Compensator While Still Maintaining The Excellent Flash Hiding Capabilities And Effective Gas Dissipation Of Its Predecessor. 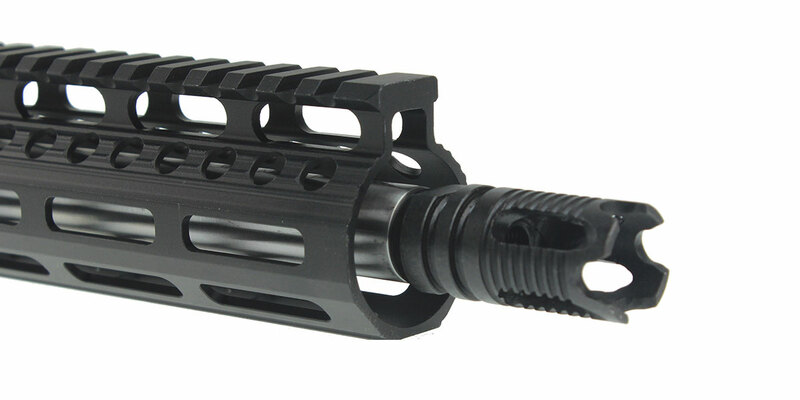 The Phantom Muzzle Brake Keeps The Aggressive Front End Used In Hand-To-Hand Situations. Made In The USA. 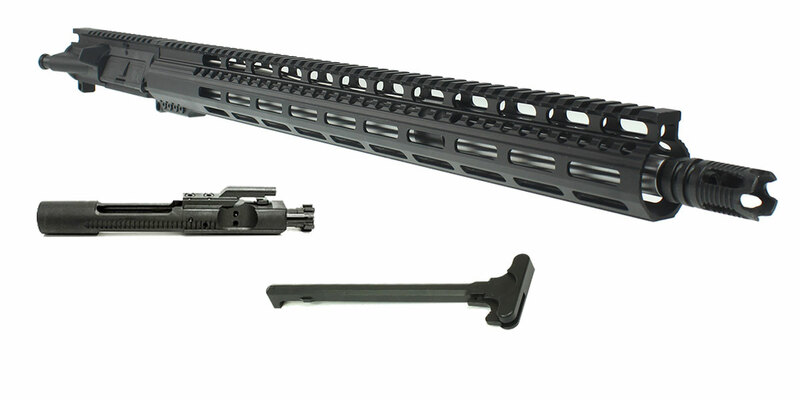 This Kit Also Includes A Davidson Defense .224 Valkyrie/6.8 Melonite BCG. Also Including An Omega Manufacturing Charging Handle.